Jamma: Journey of the Sacred Drum --- Welcome All BCAN Members, Community Members, Family and Friends! Please join us in our First Drumming Workshop. This workshop, Jamma: Journey of the Sacred Drum will gather our community in a casual setting to explore learning and playing the drum, dance and spokenword. 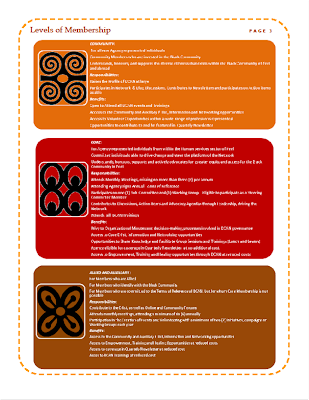 As African descended peoples, we are part of a rich Oral Tradition. BCAN welcomes Peter Kwabena Amponsah to facilitate an amazing Family-friendly afternoon of Drum, Dance, Word, sound and power. Please come out and bring your family. We ask that you each bring a friend or family member. This is an intergenerational event so we want to see small children to elders fill Peel Youth Village in a Spirit of community. Details are below. Please contact Crystal Perryman Mark at bcan@live.com to register. "Jamma: Journey of the Sacred Drum"
refreshments provided - light lunch - vegetarian and non-vegatarian options available. As many of you know, October brought us a successful engagement with the Network and our community at large when we hosted our First Open House. We employed the services of Tantrum Creative Media to capture the evening for us. The work, as you can see above, was stunning. BCAN was able to create a collection of personalized iconography that allows us to showcase our Members in our publications and footage, as opposed to using Photostock. 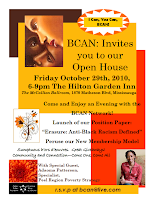 Tantrum Media effectively conceptualized the Spirit, Solidarity and Support BCAN as a Network has for ourselves, our allies, our community and each other! Please enjoy a sample of these photos. There are more to come! “The erasure and impediment of Black persons through pervasive negative pathology, both overt and covert, reinforced and perpetuated systemically, the consequence of which is lack of equitable access, opportunities and justice for Blacks (living in Canada)”. BCAN has published its first article for public consumption. 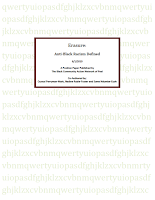 Erasure, co-written by Crystal Perryman-Mark (BCAN), Nadine Rubie Foster (Bramalea CHC)and Sume Ndumbe-Eyoh (Regional Diversity Roundtable) was a collaborative effort on behalf of BCAN to name and define the cultural xenophobia experienced by Black persons - Anti-Black racism. The Paper has become an important teaching tool within our Network and a resource to our allies. We are proud to share this work. 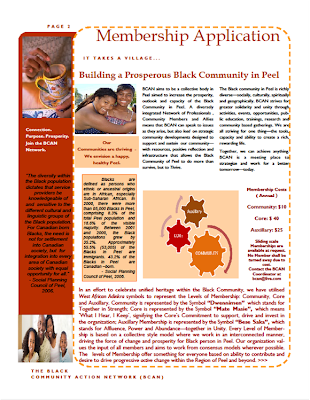 If you would like to receive a copy, please email the coordinator at bcan@live.com. 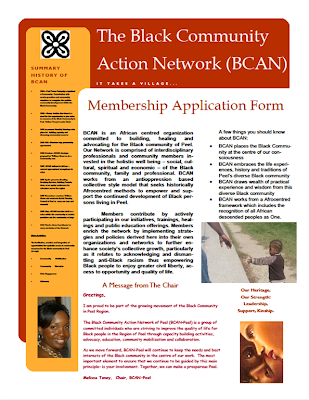 BCAN unveils a New Membership Model - Join Today! 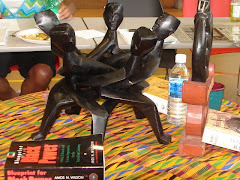 BCAN is an African centred organization committed to building, healing and advocating for the Black community of Peel. 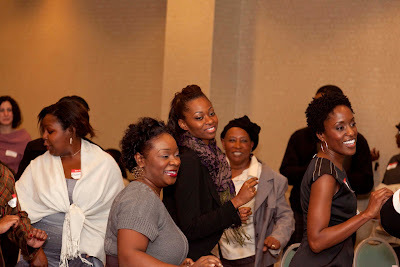 Our Network is comprised of interdisciplinary professionals and community members in-vested in the holistic well being – social, cultural, spiritual and economic – of the Black community, family and professional. 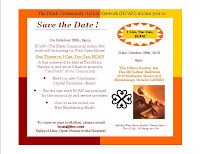 BCAN works from an antioppression based collective style model that seeks historically Afrocentred methods to empower and support the continued development of Black persons living in Peel. 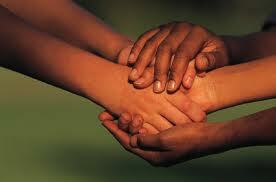 Members contribute by actively participating in our initiatives, trainings, heal-ings and public education offerings. Members enrich the network by implementing strategies and policies derived here into their own organizations and networks to further enhance society’s collective growth, particularly as it relates to acknowledging and dismantling anti-Black racism thus empowering Black people to enjoy greater civil liberty, ac-cess to opportunity and quality of life. We need YOU to make that happen! Organizations/agencies and Community Members join BCAN, attend our meetings and help drive the network to effect greater change for Black persons in Peel. 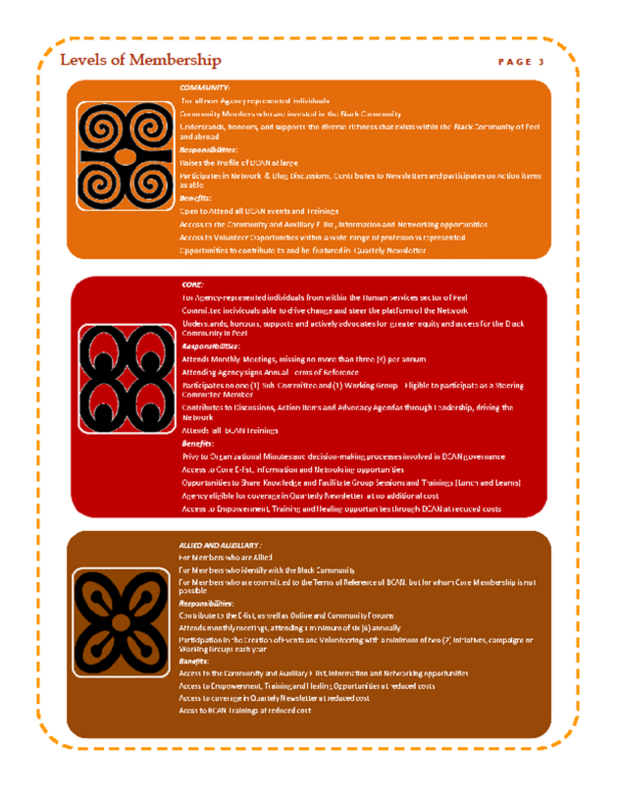 In an effort to celebrate unified heritage within the Black Community, we have utilised West African Adinkra symbols to represent the Levels of Membership: Community, Core and Auxillary. Community is represented by the Symbol ―Dwennimen which stands for Together in Strength; Core is represented by the Symbol ―Mate Masie, which means ’What I Hear, I Keep’, signifying the Core’s Commitment to support, drive and invest in the organization; Auxillary & Allied Membership is represented by the Symbol ―Bese Saka, which stands for Affluence, Power and Abundance—together in Unity. 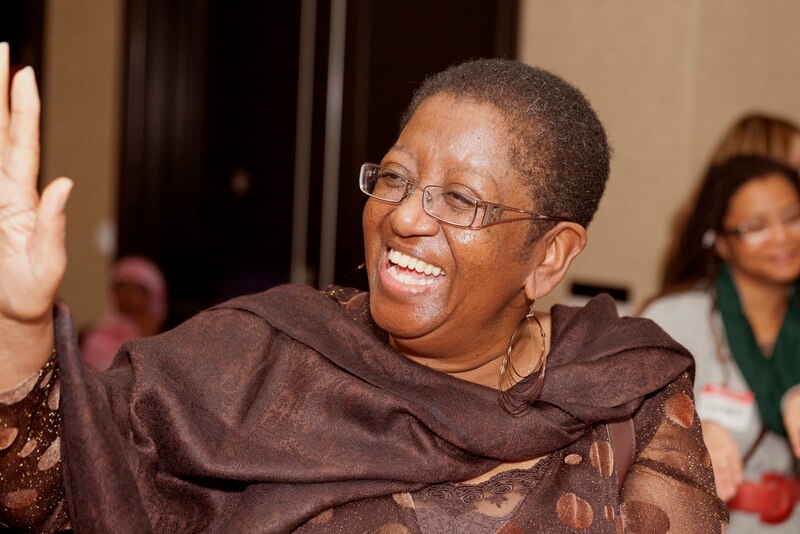 Every Level of Membership is based on a collective style model where we work in an interconnected manner, driving the force of change and prosperity for Black person in Peel. Our organization values the input of all members and aims to work from consensus models wherever possible. The levels of Membership offer something for everyone based on ability to contribute and desire to produce progressive active change within the Region of Peel and beyond. In the Subject Line type: “Application for Membership”. In your email, list your Name, Organization (if any) and level of Membership sought. The Coordinator will send you an Orientation Package and Application which you will fill out and send back. Please read these items, paying careful attention to our Terms of Reference which must be signed by the Agency’s Lead. 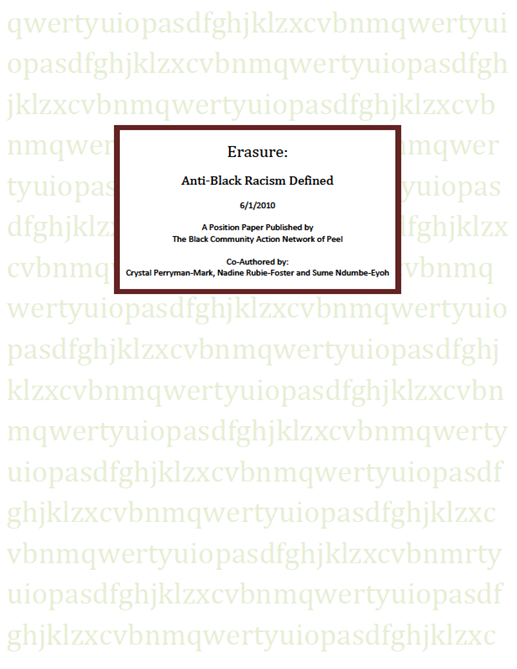 Read all Orientation Documents, including our publication, Erasure. You will be welcomed to a General Meeting. A Members Training will be held twice annually. Once you complete these steps and attend three meetings, you are a BCAN Member! 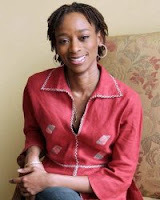 I am proud to be part of the growing movement of the Black Community in Peel Region. 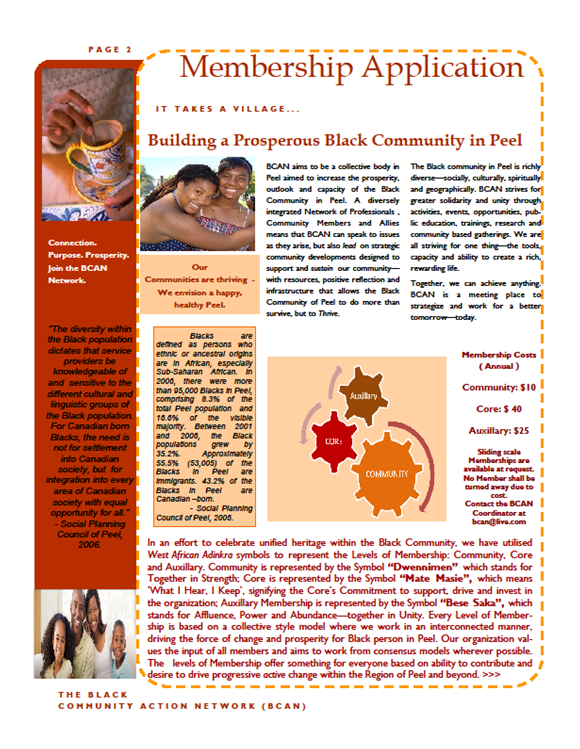 The Black Community Action Network of Peel (BCAN-Peel) is a group of committed individuals who are striving to improve the quality of life for Black people in the Region of Peel through capacity building activities, advocacy, education, community mobilization and collaboration. As we move forward, BCAN-Peel will continue to keep the needs and best interests of the Black community in the centre of our work. The most important element to ensure that we continue to be guided by this main principle- is your involvement. Together, we can make a prosperous Peel. a) by place of birth, b) in relation to the Peel population as a whole, and c) in relation to the visible minority population in Peel as a whole. This report is an excellent resource for service planning, community outreach and in-house training on visible minorities, diversity management, etc.